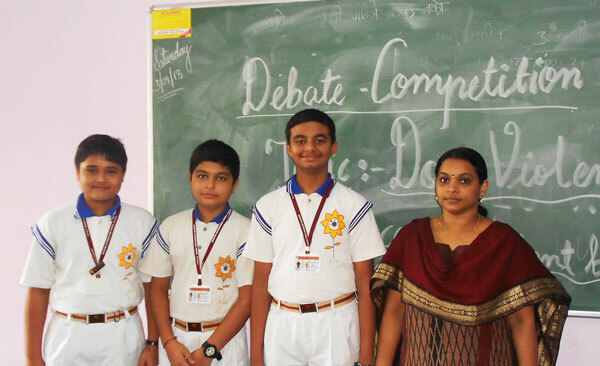 A Debate Competition was conducted for the students of Class VIII on 17th July, 2013 to provide opportunities to students to show skill and ability in arguing. 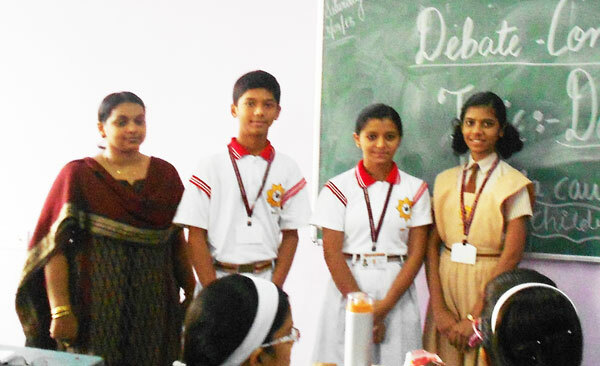 The selected students were required to speak for or against a proposition. The topic was 'Does Violence in Media cause Violent Behaviour in Children'? Three students were selected from each house. Blue and Yellow house spoke for the motion and Green and Red House spoke against the motion. The participants came up with excellent arguments and counter arguments willing each other's points and supported them with claims, facts, statistics and news items. The competitors availed all the opportunities to tear apart the arguments of the opponents with forceful rebuttal denials and counter arguments. 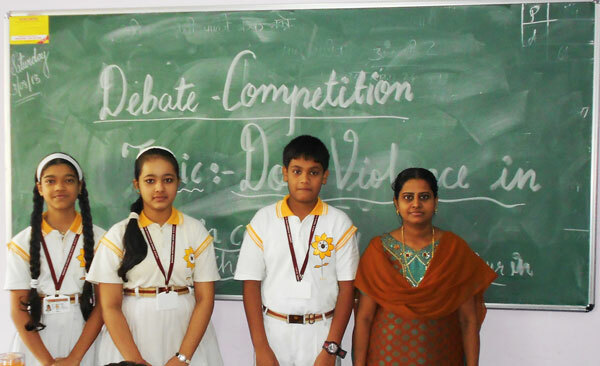 The whole class enjoed the debate.